Rick And Morty is an inherently ambitious show, sending its genius mad scientist “hero” and his hapless grandson flying across the universe and into whatever new sci-fi riffs its writers can dream up on any given day. Sometimes, though, the series gets a little too ambitious (especially on the production side), like when co-creator Dan Harmon promised last year that the show’s third season would move up to a 14 episode schedule from the previous year’s 10. 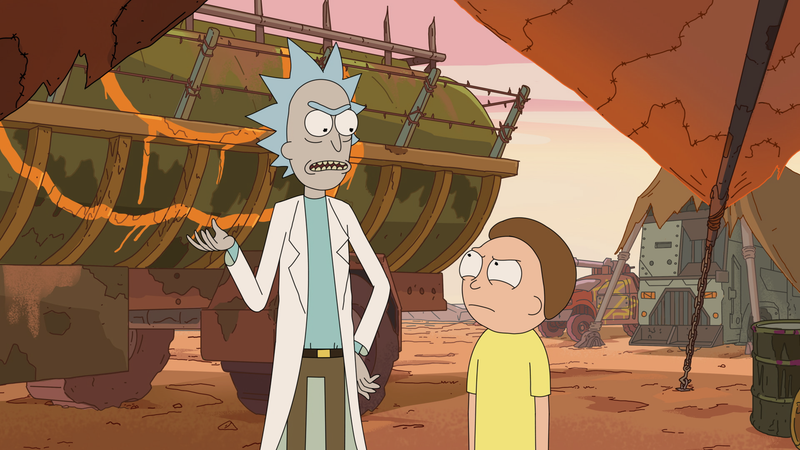 Thanks to self-admitted perfectionism from both Harmon and co-creator Justin Roiland, that didn’t happen, and the show’s third season will end with its tenth episode this Sunday.